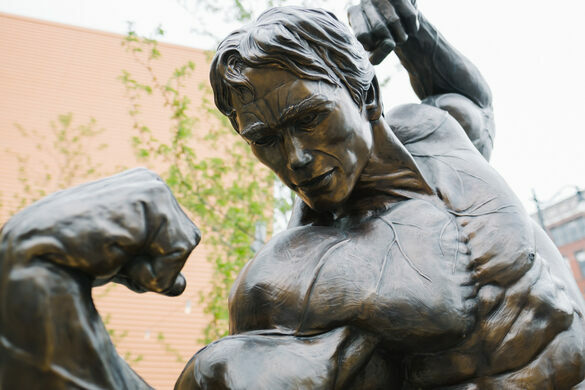 A bronze of the man in all his sinewy glory celebrates his longtime connection to the Ohio city. 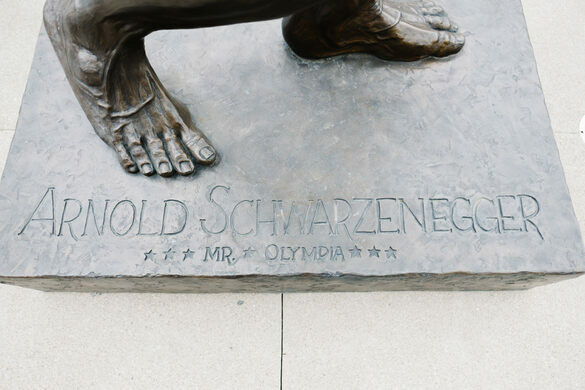 Arnold Schwarzenegger is most commonly linked with California, as he was the state’s “Governator” for eight years. 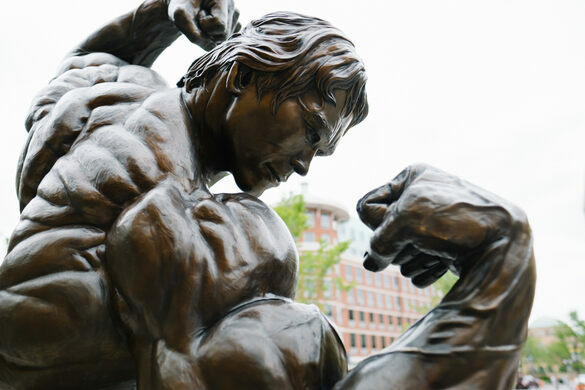 But he also has a special connection with Columbus, Ohio, which hosts the annual Arnold Sports Festival, aka the Arnold Classic. Georges Seurat’s pointillist masterpiece has been recreated in Ohio in topiary form. The childhood home of one of Ohio's favorite sons, pilot and war hero Eddie Rickenbacker. A single handprint, which, according to Ohio State University legend, cannot be scrubbed off. This association goes back to 1970, when the young bodybuilding star arrived in the city, fresh from a Mr. Universe triumph in London, to participate in the Mr. World contest. He bagged the top honor there too and developed a friendship with the event’s organizer Jim Lorimer, and expressed interest in working with him after retiring from the sport. This was the start of a lifelong association, where the two promoted bodybuilding events beginning with the 1976 Mr. Olympia event. 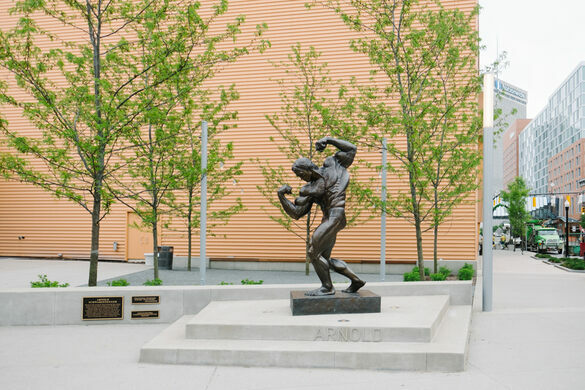 In 1989, they organized the Arnold Classic, a bodybuilding and fitness competition and expo, which still takes place in Columbus every year. 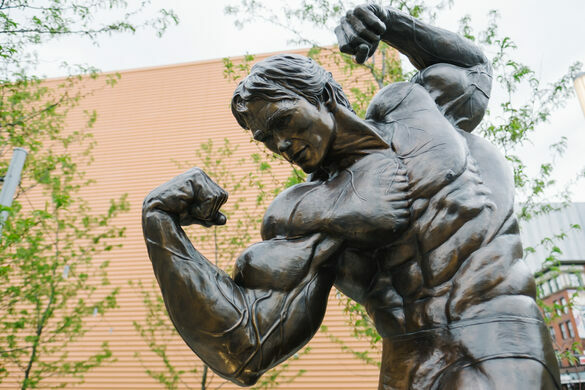 To mark Schwarzenegger’s Mr. World victory and the continued association, a 8-feet tall bronze statue of the man in all his sinewy muscular glory, was unveiled in 2012 outside the Veterans Memorial Auditorium, where the 1970 competition was conducted. 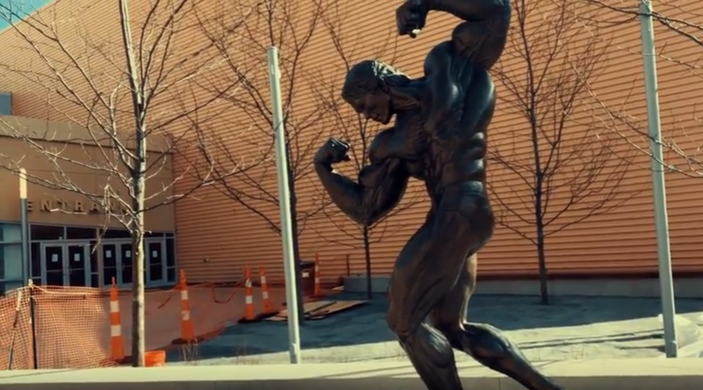 When the auditorium was demolished, the statue was moved to its current location outside the Columbus Convention Center, where the Arnold Classic is now held. The statue is listed on Google Maps, and is easily spotted in front of the convention center. There's some street parking in the area, which is your best bet if you're just stopping by for the statue. This statue of Olympic hockey coach Herb Brooks immortalizes one of the greatest moments in American sports history. You don't have to be a professional jockey to ride in Britain's oldest horse race.